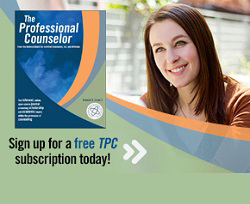 The quality of the therapeutic relationship and the personal characteristics of professional counselors are key determinants of positive counseling outcomes and decision making, and they are believed to be influenced by conscious and unconscious processes. Beliefs about the unconscious nature of altruism and self-interest among 25 mental health professionals were examined through a paradigmatic narrative analysis. Data from 19 semi-structured individual interviews, one focus group, 19 artifacts and participant member checks were subjected to a secondary qualitative analysis. The results of the analysis generated three salient archetypes representative of the altruism–self-interest dynamic: exocentric altruist, endocentric altruist, and psychological egoist. John Holland’s Self-Directed Search (SDS) is a career assessment that consists of several booklets designed to be self-scored and self-administered. It simulates what a practitioner and an individual might do together in a career counseling session (e.g., review preferred activities and occupations; review competencies, abilities and possible career course; and consider RIASEC theory). This study examined how individuals used two different interpretive materials with the SDS assessment: (1) two paper booklets and (2) the computer-generated SDS Interpretive Report (SDS:IR). Participants receiving the SDS:IR were more likely to recall their SDS summary codes and expand their options than those receiving the two paper booklets. Employment preparation and life skill development are crucial in assisting students identified as having emotional and behavioral disabilities with successfully transitioning to adulthood following high school. This article outlines four initiatives that a school counselor developed with other school personnel to promote work skills, life skills, and social and emotional development, which include (a) a school vegetable garden, (b) a raised worm bed, (c) a sewing group, and (d) community collaboration. The authors also discuss implications for school counselors and recommendations for future research. 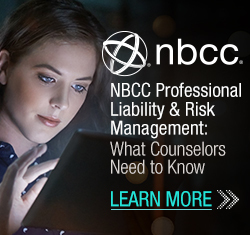 As the demand for career counseling services grows, the need for accountability rises, and the availability of funding decreases, it becomes more critical that practitioners utilize cost-effective interventions and alternative forms of treatment. One option for improving access to all clients while concurrently reducing costs involves using approaches based on collaboration between clients. Pair counseling, a brief intervention based on pairing two individuals of opposing orientations, can be implemented to improve access, promote social justice, and enhance the overall delivery of career services. This article further examines how career theory can be translated into actual practice. Implications for program development and future research are addressed. The use of social networking sites (SNS), and Facebook in particular, seems to be on the rise (Salaway, Nelson, & Ellison, 2008). The majority of users tend to be from the millennial generation (Hazlett, 2008), as are the majority of graduate counseling students. This discussion explores several areas regarding the use of Facebook. First, we review the literature on why students from the millennial generation are such avid users of Facebook. Second, we explore privacy settings: how Millennials establish privacy settings and what demographic factors may be correlated with the level of privacy settings they establish. Results from an online descriptive survey of counseling students are compared with and found in many ways to be inconsistent with the literature on the risk factors associated with limited use of privacy settings. 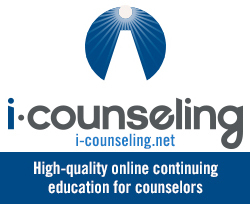 Implications of and recommendations for using Facebook for counselors and counselor educators are provided.